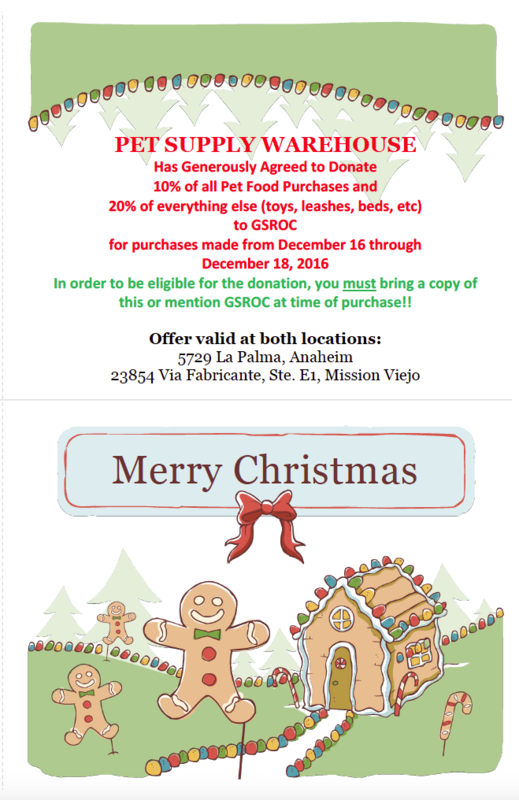 December 16-18, 2016 Pet Supply Warehouse will donate to German Shepherd Rescue of OC: 10% of pet food sales and 20% of sales from everything else (toys, treats, beds, etc.) for each transaction (pre-tax) made by supporters of GSROC. Supporters of GSROC must present a flyer/social media post or mention the offer during checkout to have the purchase count toward the donation total. Offer valid at both locations.